Here is the fish mounted on the board. Here I start to add a splash. 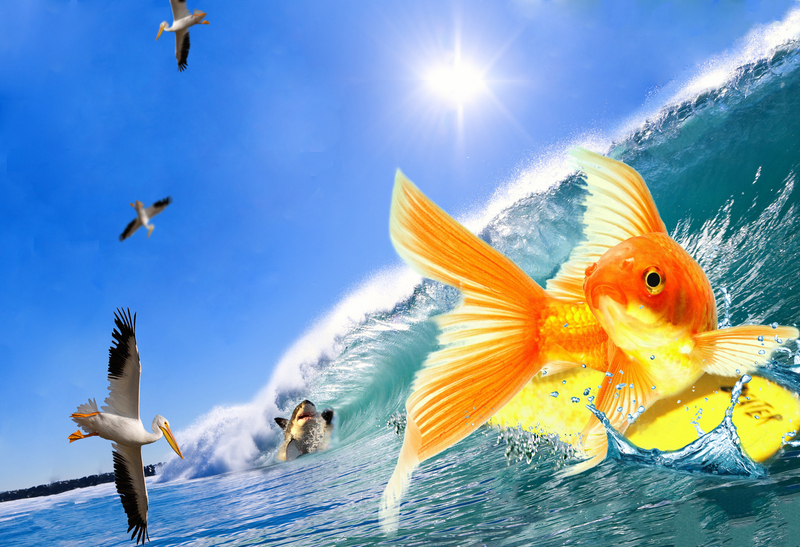 Here I thought I was finished, but the image was too small & I didn’t like the wave splashes I added on my goldfish. 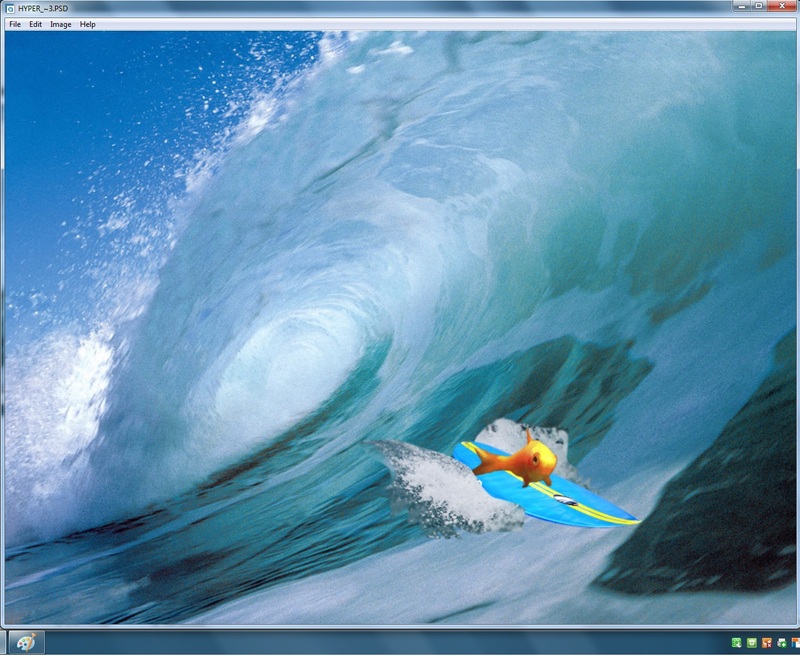 As you can see, I removed some fins to make it look like the goldfish is actually on the surfboard. Here I chose a different background because the image was only 8 inches wide, so I am in the process of building it up. Here I am finished with the background, but I will be adding sharks chasing Flippy. 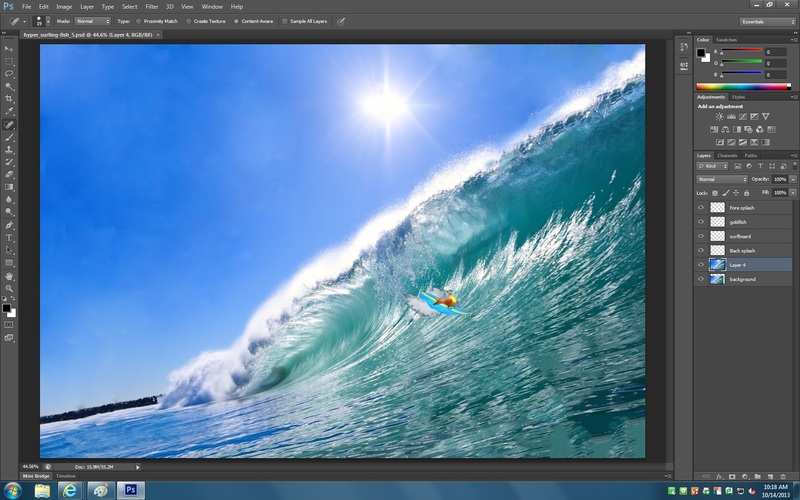 Stage 6 – Here I added the shark and Pelicans chasing Flippy. However, this piece seemed empty, as pointed out by my professor in my after-feedback. STAGE 7! MASSIVE CHANGE! My fish unfortunately passed away, but I managed to get a super HD photo of him before-hand! 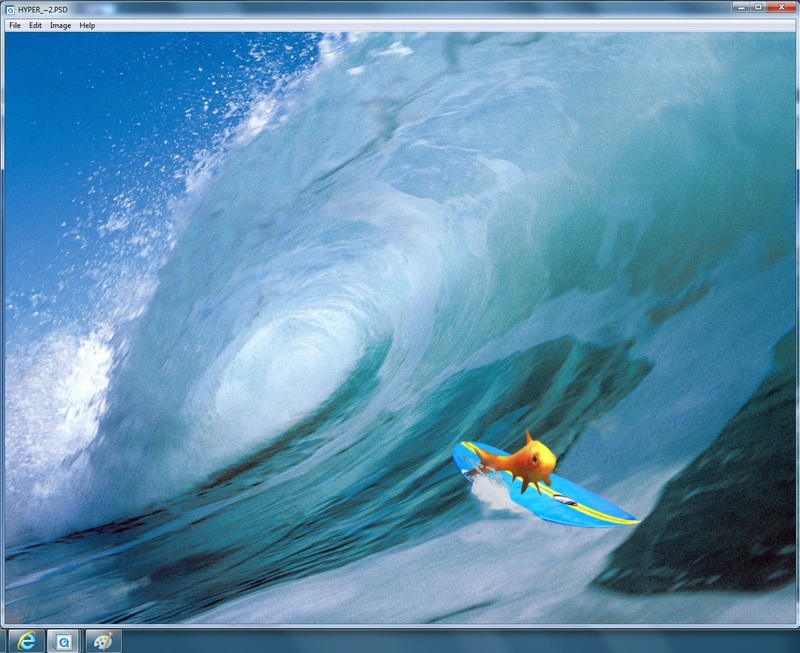 So here is the new & improved surfing goldfish! I even had to add a larger splash! I changed the location of the pelicans. 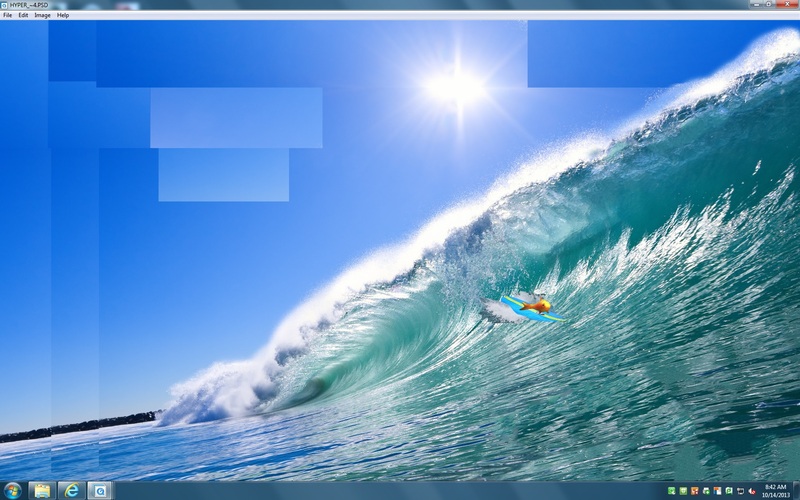 Although I really DO like the yellow surfboard, my professor suggested I change its color to make it stand out more. Stage 7 – This is my 7th and FINAL change to this composition. 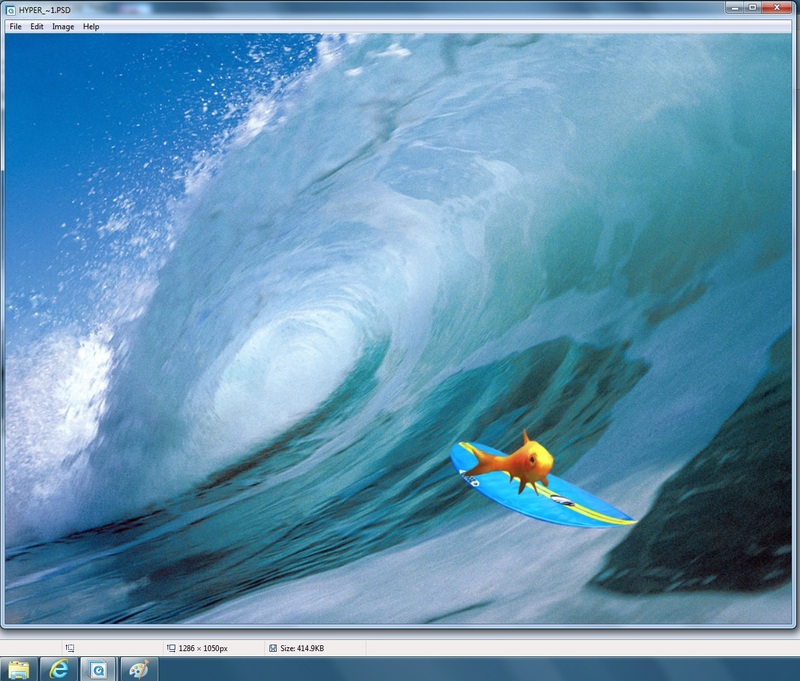 I added more pelicans, I changed and lowered the opacity of the ones further away, I changed the color of Flippy’s surfboard, and I repositioned the shark. I also slightly lowered the shark’s opacity, and I repositioned some of the pelicans so that they look like they are all after my goldfish. I hope you enjoyed seeing me progress with my work!